Tickets can be purchased online at any time. Phone bookings (02 4961 4895) and bookings in person can be made at the YPT Ticket Box Office during office hours only – Saturdays 9am to 1pm. Tickets are usually available for purchase for 5 to 6 weeks prior to season opening. During the opening week of each production, the Box Office is open from 9am to 1pm. To book accessible seating (available for people with restricted mobility or special needs), please email the box office boxoffice@ypt.org.au at any time, or phone during YPT office hours (Saturday 9am – 1pm). Accessible seating is reserved in ROW A. Adult tickets are at children’s prices. Opening night ticket price includes pre-performance drinks and nibbles (excluding end of year junior productions). Tickets may be paid for in cash, by credit card or EFTPOS. There are no refunds or exchanges after your order is finalised. Tickets are required to be purchased for children 2 years and above. 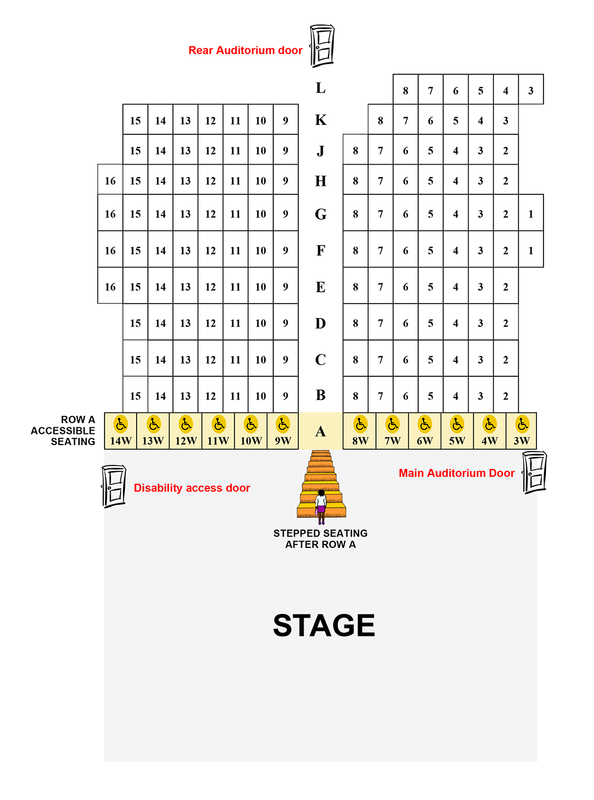 Please view the Theatre Seating Plan to assist you in booking seats. Group bookings of 15 or more qualify for a discount. Please contact the YPT office during office hours Saturday 9am to 1pm, or email boxoffice@ypt.org.au at any time. All YPT productions have 2 casts. If you are wanting to see friends or family in a show, please check the name of their cast before booking tickets. Helpful information to plan your theatre visit, with FAQs about shows are listed on the contact page. If you experience technical difficulties booking your tickets online click here for troubleshooting help.